Today’s Tiny Tutorial is very tiny indeed, but it’s a very useful technique in my bag of paperdolling tricks, and I wanted to put it up so I can refer to it in future tutorials. Now, I hesitate to do Photoshop tutorials because I’m hardly an expert myself, plus I work with Photoshop CS2, which is nearly a decade old, and I can’t promise that what I do is the best way to do things — or even accurate — for newer versions. Still, if someone can make good use of my techniques or the tutorial sparks someone’s imagination and that person improves on my techniques, then I believe it’s worthwhile. Increase the spacing. At 105%, each individual brushstroke is far enough apart from the next one that there’s a little space between it. There we have it, a dotted line. Save your brush if you like, to save yourself the trouble of having to do it again. Now, let’s take a quick look at layer styles. 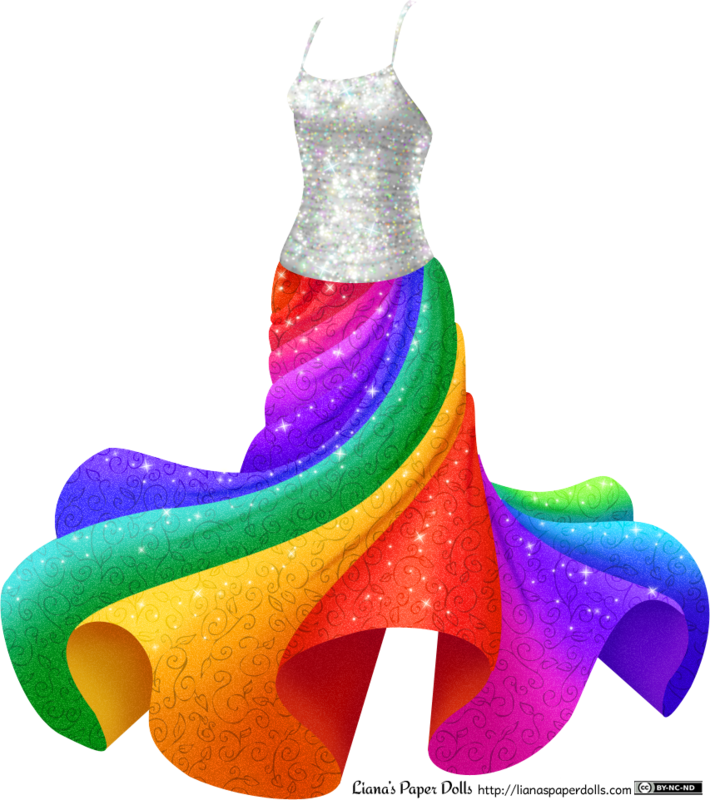 Layer styles allow you to change how everything in a layer looks without making any permanent changes, so that you can easily change colors, add shadows and do other things to the underlying image. 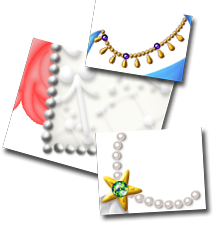 Layer styles are their own delightful world, and I’m just going to show off one small part of what you can do with them in this tutorial, with future Tiny Tutorials dedicated to how I use them to create the illusion of pearls, rhinestones, beads and so on. Double-click on the layer to open up the layer styles window. First, let’s change the color with color overlay. I’m going to make this row of beads look golden, so I’m going to start with a warm golden brown base (#d28a00). To give the beads shape, I generally play around with bevel and emboss, inner shadow, inner glow and drop shadow until I come up with an effect I like. For this example, I’ve just used these settings to give it a simple gold bead look. 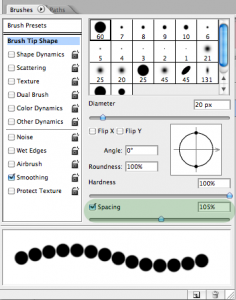 When using this, you’ll want to keep in mind how big you want the beads to be, because the layer style changes drastically with the size of the brush. Using that same layer style with a 5 pixel wide brush only gives me a muddy brown line. I have to adjust the layer style to get anything resembling beads when the brush is so small. 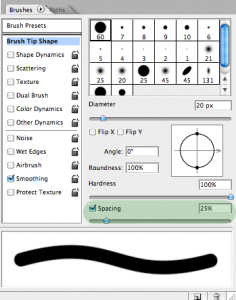 You’ll also note that the beads in the 5 pixel wide brush line look like they’re closer together than the beads in the 20 pixel wide brush line; if you’re as picky as I am you may want to adjust the spacing every time you have a new shape. 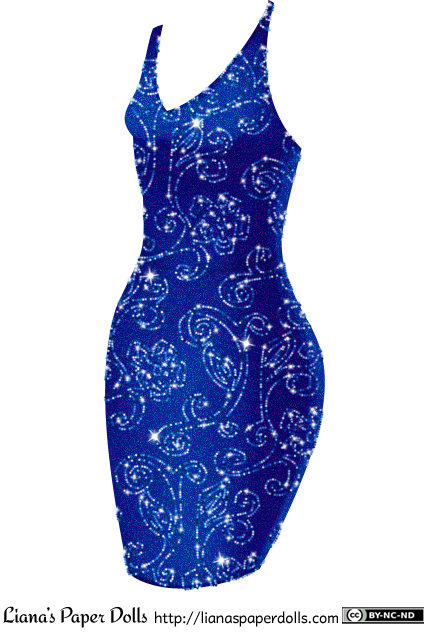 In future Tiny Tutorials, I’ll build on this technique and show you the exact layer styles I use for sequins, metallic beads, rhinestones and pearls.